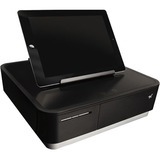 POS Global offers a variety of cash drawer options. Browse our selections and feel free to contact us for more information or to see how our products can benefit your company. Plan on buying something else? Don't forget to purchase video security and protect your finances, property and employees. 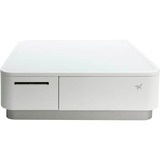 The CD415 a is highly reliable cash drawer for both retail and hospitality environments. 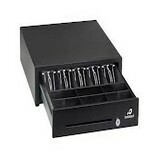 FC4510 - USB Wide Cash Drawer (without till insert). FC4881 - Wide Cash Drawer. Color: Iron Gray.